Ex Made In Chelsea star Ashley James has launched her first fashion range! 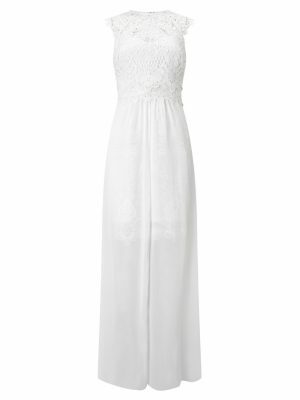 We wear the latest affordable high street wedding dresses – see the pics and read our verdicts! See the weirdest jeans that everyone is going crazy for! Look! Check out this £1.7k designer bag that looks like one you can get for 40p! How much?! You won’t believe what Victoria Beckham’s t-shirt cost! Kylie Jenner’s best friend Stassie is the face of Pretty Little Thing’s new range – and here’s 20% off to celebrate! Newly single Kylie Jenner steps out in bright over the knee boots! WIN! Get your hands on a £500 Miss Pap voucher to celebrate Megan McKenna’s new drop! Woah! Victoria Beckham’s Target collection is now selling FOUR times as much! “I’d rather be in pain as long as I look tall” Georgia May Foote reveals she can’t live without high heels! OMG! Are these the worst dressed members of Made in Chelsea? The £50 high street dress celebs can’t get enough of! Stay happy: Six ways to get rid of negative feelings! Red carpet malfunctions – see the stars that revealed more than they hoped for! OMG PICS! Is this the worst dressed TOWIE you’ve ever seen? WOW! Vicky Pattison posts INCREDIBLE holiday pic and you can get her swimsuit! Getting married? See the best of the high street wedding dresses! 20 last minute Mother’s Day gift ideas to make your mum smile! 21 pairs of shoes that will make people want to stop you in the street! Oooh! Is this what’s in Cheryl Cole and Liam Payne’s baby nursery? Is this character Victoria Beckham’s new fashion muse?